Thank you Brooklyn Arts Council! 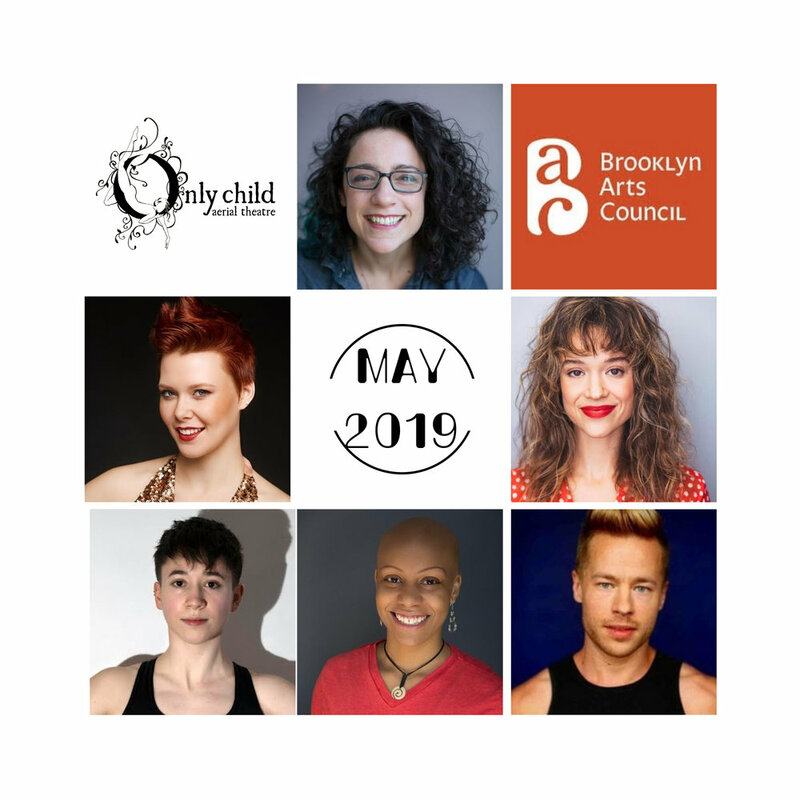 Big thank you to Brooklyn Arts Council for giving a portion Brooklyn Arts Fund to Only Child Aerial Theatre in 2019! This is our third grant from BAC, and thanks to their support along with our donor base we are thrilled to announce that we will be devising and performing a new multidisciplinary aerial theatre show in May 2019 in Bushwick, Brooklyn! Directed by Nicole Valerie Miller this stellar ensemble includes Cassady Rose Bonjo, Kenneth Stephen Neil, Šara Stranovsky, Gil Verrelli, and Ashley Winkfield. Our team also includes production manager is Ayla Weisz, rigging director Benjamin E. Oyzon, dramaturgy/creative consultants Kendall Rileigh, Laura Sisskin Fernandez, and Danielle Butler. Big thanks to additional support from Crista Marie Westley. Stay tuned for more details soon! FEATURED: Only Child IS on NPR! Nicole Valerie miller with ellie dubois and cirkus cirkör! This summer Nicole Valerie Miller will be hopping the pond to help other circus theatre artists with their work! Pictured top: Ellie Dubois' Now Show, which Nicole Valerie will help put up at the Edinburgh Fringe Festival at Summerhall! 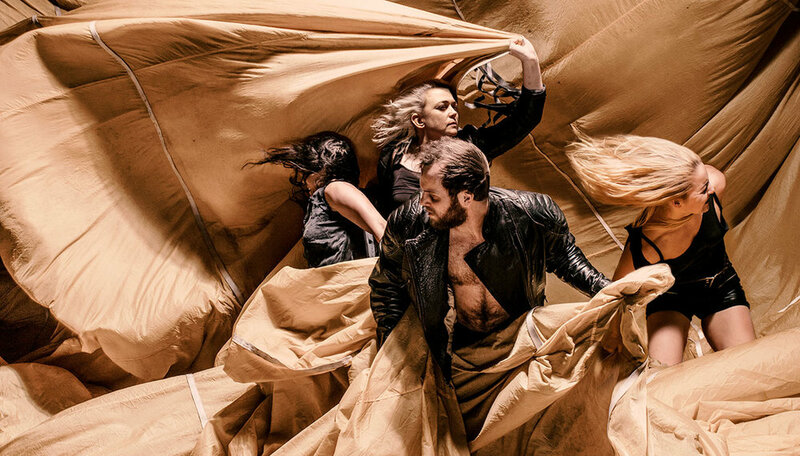 Pictured bottom: Cirkus Cirkör (Sweden) new creation, Under, directed by Olle Strandberg. Nicole Valerie will be shadowing Olle in rehearsal while also working in a personalized creative residency in Cirkör's facilities. Only Child Aerial Theatre is creating all new, original site specific work on the metal structure in Socrates Sculpture Garden for this FREE outdoor arts festival. Original music will be composed and performed by Ben Lieberman, performers TBA soon! KENDALL RILEIGH Brings aerial CHOREOGRAPHy to DELAware theatre company's American premiere of "Hetty Feather"
CircusTalk asks: What's next for AmericaN circus? the time to Donate is now! Nicole Valerie and Kendall participated in Frantic Assembly's International Chair Duet Challenge. The piece was featured on Frantic Assembly Chair Duet Website the website and was one the most "liked" entries! “The extremely imaginative staging, using acrobatics, aerial choreography, original music and abstract projections, creates a wordless, dream-like world…"